We've had an 'Unexpected Journey' and seen the 'Desolation of Smaug,' and now this year Peter Jackson brings us the conclusion of the trilogy with 'The Hobbit: The Battle of the Five Armies.' With six months still left ahead before we catch up with Bilbo and friends, it's about time we get our first look at the final chapter in their story. 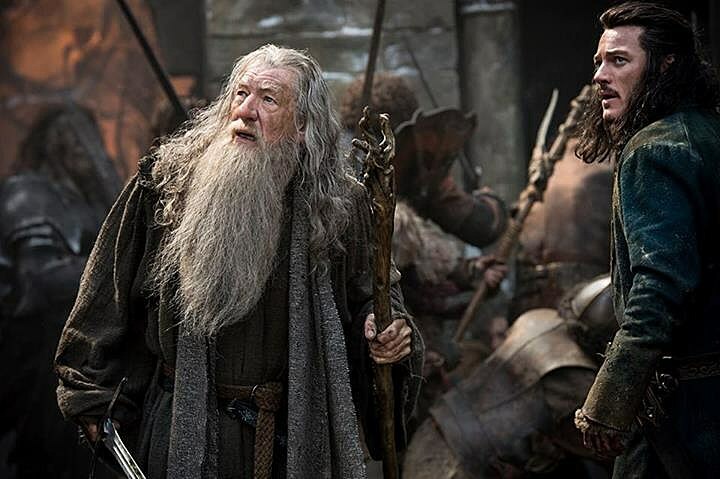 Over on the official Facebook page for 'The Hobbit,' we've been given our first look at 'The Battle of the Five Armies' (still getting used to that title), which features Ian McKellen's Gandalf and Luke Evans' Bard the Bowman looking at ... well, they sure are looking at something, but we're not sure what. It definitely seems like a photo in desperate need of a humorous caption. We'll leave that up to you guys. 'The Hobbit: The Battle of the Five Armies' picks up as Thorin and the gang have reached the lair of Smaug, and Bilbo and the dwarves must fight to reclaim the treasure -- and Erebor -- once and for all. 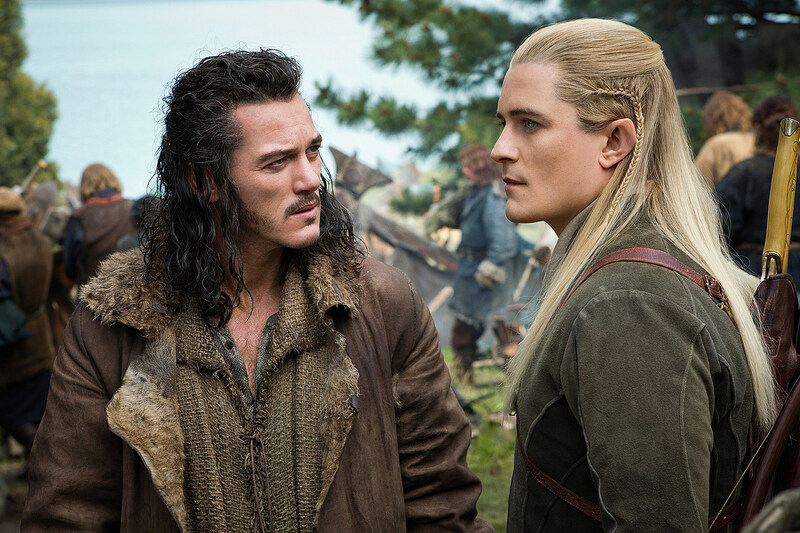 In addition to McKellen and Evans, the film also stars Martin Freeman, Lee Pace, Benedict Cumberbatch, Evangeline Lilly, Cate Blanchett, Richard Armitage, Orlando Bloom, and Hugo Weaving.